Minh Quang Pham is a Vietnamese-born British convert to Islam who pledged allegiance to al-Qaeda in the Arabian Peninsula (AQAP) and accepted a suicide mission from the late AQAP leader Anwar al-Awlaki. 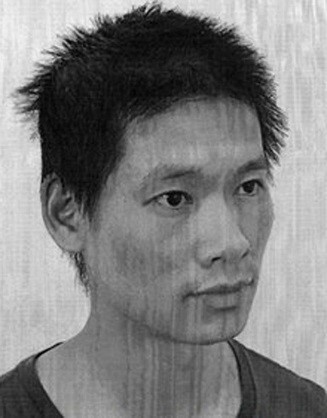 Pham was arrested by British authorities before he could carry out the attack. He later told U.S. authorities that he had been “deluded” by AQAP’s propaganda.“Documents in Al Qaeda Case,” New York Times, May 10, 2016, http://www.nytimes.com/interactive/2016/05/10/world/middleeast/document-al-qaeda-court-case.html?_r=0. In January 2016, Pham pled guilty in U.S. federal court to pledging allegiance to AQAP, receiving military training the terrorist group, and carrying a weapon on its behalf.“Member of Al Qaeda in the Arabian Peninsula Pleads Guilty to Terrorism Charges,” U.S. Department of Justice, January 8, 2016, https://www.justice.gov/opa/pr/member-al-qaeda-arabian-peninsula-pleads-guilty-terrorism-charges. He was sentenced to 40 years in U.S. prison in late May 2016.“UK citizen Minh Quang Pham jailed for Heathrow suicide plot,” BBC News, May 27, 2016, http://www.bbc.com/news/uk-36403825. Pham left Britain for Yemen in December 2010. In addition to receiving training from AQAP, Pham used his graphic design skills to help edit the group’s English-language magazine, Inspire.“Documents in Al Qaeda Case,” New York Times, May 10, 2016, http://www.nytimes.com/interactive/2016/05/10/world/middleeast/document-al-qaeda-court-case.html?_r=0. According to the U.S. indictment filed against him, Pham came into contact with two American citizens in Yemen. The Americans are not named in the indictment, but their descriptions match those of the late radical cleric Anwar al-Awlaki and Samir Khan, a late Inspire editor.Benjamin Weiser, “U.S. Indicts Man Accused of Aiding Al Qaeda in Yemen,” New York Times, June 29, 2012, http://www.nytimes.com/2012/06/30/world/americas/us-indicts-man-accused-of-aiding-al-qaeda-in-yemen.html. Pham later admitted to working with Khan, although he claimed that they argued frequently and had a bad relationship.“Documents in Al Qaeda Case,” New York Times, May 10, 2016, http://www.nytimes.com/interactive/2016/05/10/world/middleeast/document-al-qaeda-court-case.html?_r=0. During a March 2015 interview with the FBI, Pham admitted to accepting a suicide mission from al-Awlaki. According to Pham’s account, al-Awlaki gave him 6,000 GBP (8,600 USD) to prepare explosives for an attack on London’s Heathrow International Airport.“Documents in Al Qaeda Case,” New York Times, May 10, 2016, http://www.nytimes.com/interactive/2016/05/10/world/middleeast/document-al-qaeda-court-case.html?_r=0. British authorities detained Pham upon his return to London in late July 2011, and seized the money.U.S. Attorney’s Office Southern District of New York, “Manhattan U.S. Attorney Announces The Extradition Of Defendant From United Kingdom For Providing Material Support To, And Receiving Military Training From, Al Qaeda In The Arabian Peninsula,” U.S. Department of Justice, March 3, 2015, https://www.justice.gov/usao-sdny/pr/manhattan-us-attorney-announces-extradition-defendant-united-kingdom-providing-material; “Documents in Al Qaeda Case,” New York Times, May 10, 2016, http://www.nytimes.com/interactive/2016/05/10/world/middleeast/document-al-qaeda-court-case.html?_r=0. British police arrested Pham in June 2012 based on an indictment and a warrant for his arrest issued by the U.S. Attorney’s Office for the Southern District of New York.U.S. Attorney’s Office Southern District of New York, “Manhattan U.S. Attorney Announces The Extradition Of Defendant From United Kingdom For Providing Material Support To, And Receiving Military Training From, Al Qaeda In The Arabian Peninsula,” U.S. Department of Justice, March 3, 2015, https://www.justice.gov/usao-sdny/pr/manhattan-us-attorney-announces-extradition-defendant-united-kingdom-providing-material. After Pham’s extradition to the United States in February 2015, he told the FBI he never had any intention of carrying out al-Awlaki’s mission.“Documents in Al Qaeda Case,” New York Times, May 10, 2016, http://www.nytimes.com/interactive/2016/05/10/world/middleeast/document-al-qaeda-court-case.html?_r=0. In December 2015, Pham’s attorney, Bobbi C. Sternheim, claimed Pham could not receive a fair trial in New York City as a Muslim because of “the current climate of Islamophobia and hatred of Muslims.”Benjamin Weiser, “Seeking to Alter Jury Selection, Lawyer in Terror Case Cites Donald Trump’s Muslim Remarks,” New York Times, December 30, 2015, http://www.nytimes.com/2015/12/31/nyregion/donald-trumps-remarks-on-muslims-are-cited-in-terrorism-case.html. Pham pled guilty in January 2016 to providing material support to AQAP, conspiring to receive military training from or on behalf of AQAP, and carrying and using a Kalashnikov rifle for the purpose of violence, charges that carried a maximum sentence of life in prison. Pham requested in his plea agreement to be relocated to the United Kingdom.Minh Quang Pham Plea Agreement, U.S. Department of Justice, January 5, 2016, https://www.justice.gov/opa/file/811941/download. Pham’s family moved to the United Kingdom when he was a child. He told U.S. authorities that he was bullied and did not do well in school. Pham began smoking at age 11 and turned to marijuana at 14. At age 18, his marijuana usage and partying became more frequent. Pham converted to Islam at age 21, and rejected his past life of smoking and partying. Pham joined the London chapter of Tablighi Jamaat (Society for Spreading Faith), a global Islamic outreach group that al-Qaeda has allegedly used for recruitment purposes.“Documents in Al Qaeda Case,” New York Times, May 10, 2016, http://www.nytimes.com/interactive/2016/05/10/world/middleeast/document-al-qaeda-court-case.html?_r=0; William Langley, Roya Nikkhah, James Orr, David Bamber, and Massoud Ansari, “Army of Darkness,” Telegraph (London), August 20, 2006, http://www.telegraph.co.uk/news/1526793/Army-of-darkness.html. In 2006, Pham traveled to India and Bangladesh with the group. They visited more than 30 mosques and witnessed extreme poverty in the two countries. Pham credited the trip with inspiring him to help “heal the world.” When he returned to London, he said he wanted to devote himself to humanitarian causes.“Documents in Al Qaeda Case,” New York Times, May 10, 2016, http://www.nytimes.com/interactive/2016/05/10/world/middleeast/document-al-qaeda-court-case.html?_r=0. Pham told U.S. Judge Alison J. Nathan that he knew AQAP “was an organization engaged in terrorist activity.”Benjamin Weiser, “British Man Admits Past in Terror Cell in Yemen,” New York Times, January 8, 2016, http://www.nytimes.com/2016/01/09/nyregion/minh-quang-pham-britain-man-linked-to-yemeni-militants-plea.html. He admitted to being misled by AQAP propaganda. Pham said he had accepted al-Awlaki’s mission in order to escape and seek treatment for scabies.“Documents in Al Qaeda Case,” New York Times, May 10, 2016, http://www.nytimes.com/interactive/2016/05/10/world/middleeast/document-al-qaeda-court-case.html?_r=0. In a letter to Nathan, Pham wrote that al-Qaeda “is damaging the image of Islam” and he doesn’t “believe they represent true Islamic values.” He claimed that he had been “deluded by the prevalent misleading propaganda” online. Pham believed that he would have been killed alongside Khan and al-Awlaki if he had stayed with AQAP. He called his decision to leave “the right one.”“Documents in Al Qaeda Case,” New York Times, May 10, 2016, http://www.nytimes.com/interactive/2016/05/10/world/middleeast/document-al-qaeda-court-case.html?_r=0. U.S. prosecutors dismissed Pham’s penitential statements and requested he receive 50 years in prison.Larry Neumeister, “US seeks 50 years in prison for Vietnamese man in bomb plot,” Associated Press, May 10, 2016, http://bigstory.ap.org/article/83457b4bf1774132b23ea7b7ba4a69a8/us-seeks-50-years-prison-vietnamese-man-bomb-plot. In late May 2016, Pham was sentenced to 40 years in U.S. prison.“UK citizen Minh Quang Pham jailed for Heathrow suicide plot,” BBC News, May 27, 2016, http://www.bbc.com/news/uk-36403825. Amin“United States of America v. Minh Quang Pham a/k/a ‘Amin,’” U.S. District Court Southern District of New York, May 24, 2012, https://www.justice.gov/sites/default/files/usao-sdny/legacy/2015/03/25/Pham%20Minh%20Indictment.pdf. Minh Quang Pham is a Vietnamese-born British convert to Islam who pledged allegiance to al-Qaeda in the Arabian Peninsula (AQAP) and accepted a suicide mission from the late AQAP leader Anwar al-Awlaki.